Young people can make a difference in the world by dreaming big, staying close to God and not being afraid to choose comfort over greatness, the Australian Catholic Youth Festival participants were told today. 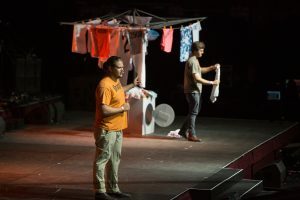 The opening plenary session for Day Two of the three-day festival for young Catholics from across Australia, featured keynote presentations from young speakers sharing their faith and their actions. 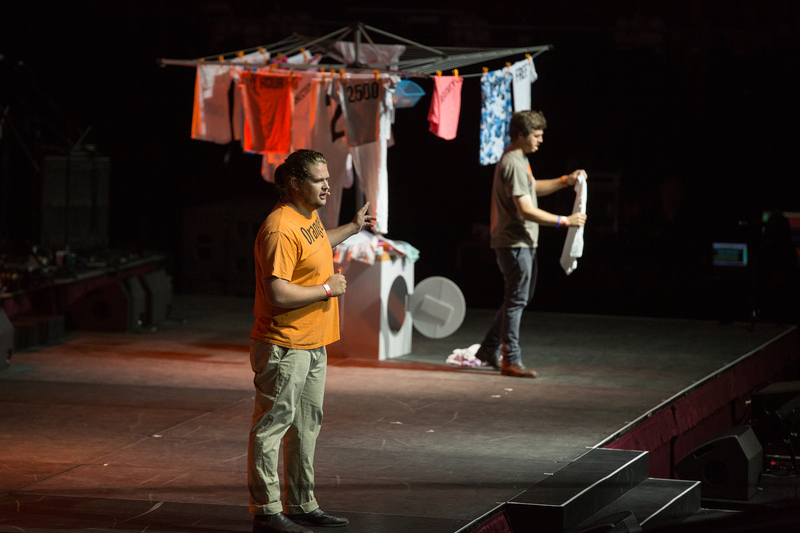 Nic Marchesi and Lucas Patchett, Founders of Orange Sky Laundry, told their story of seeing a need, having a dream and, when they were barely out of school, acting on that dream, creating the world’s first free mobile laundry service for people experiencing homelessness. But, they say, much of the life-changing contact with homeless people occurs on six chairs set up beside the laundry van. 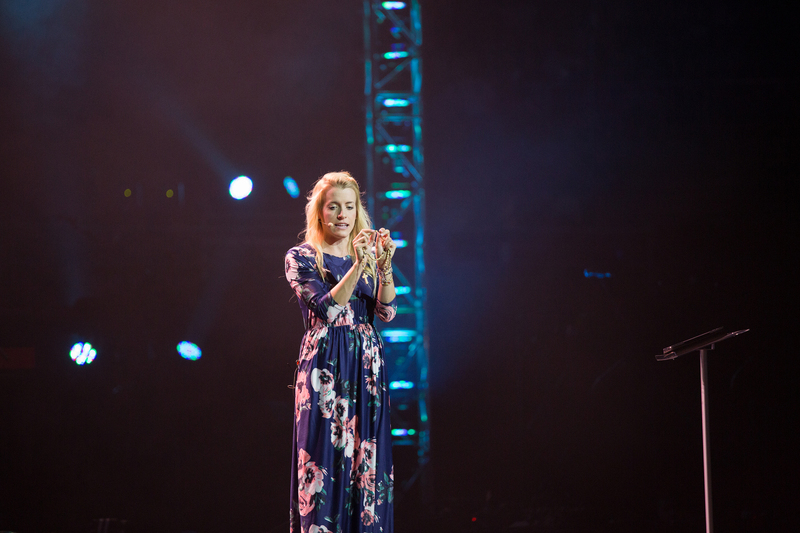 Los Angeles based speaker and musician Emily Wilson told the young people they shouldn’t be anxious about working out their vocation, but just stay close to God. “Our foundational vocation is to be the love of Jesus, to be his hands and feet,” she said. 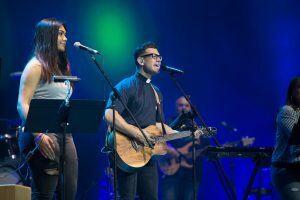 Fr Rob Galea topped the morning session off, bringing the young church to its feet to join in singing praise and reminding them that God is greater than any of their problems, concerns, and anxieties. 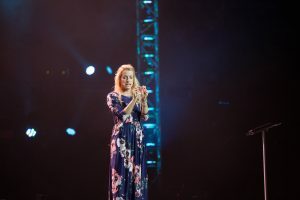 The Festival-goers then attended a huge range of talks and activities followed by the evening plenary session, in which young people were to feed back their thoughts and conversations from the Bishops’ Exchange held throughout ACYF. Bishop Vincent Long will respond on behalf of the bishops. Day Two of ACYF17 will culminate with American musician Steve Angrisano leading the gathering into quiet Eucharistic Adoration and Canadian singer Matt Maher closing the night out with praise and worship. This entry was posted in Uncategorized on December 8, 2017 by ACBC Communications.